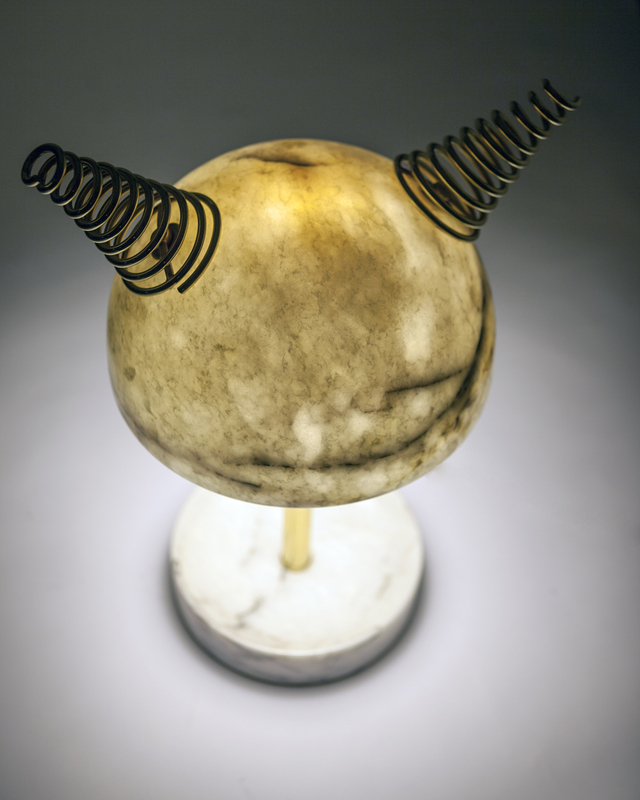 Min Lilla Anime is the new version of the Min Lilla Viking lamp. Horns are replaced with the swivel metal strings resembling the hair of the Japanese anime characters. Veins of the Leylak marble gives out a purplish hue and the metal color can be customised.